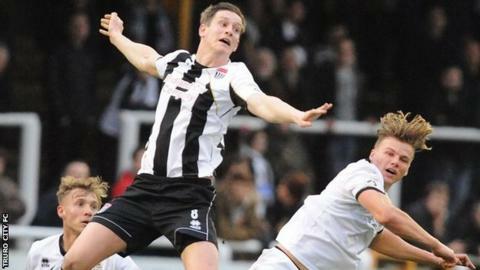 Truro City boss Steve Tully hopes to sign Bath City's Ben Adelsbury. The 24-year-old would return to Truro having been with the club before their financial problems in 2012. "Ben's put out his wishes that he wants to come to us, so if we can get that one over the line before Saturday then we've done really well," said Tully. Truro have already made one signing this week, with defender Aaron Bentley joining the club after being released by Plymouth Argyle last month. "We're still in talks with Ben," Tully added to BBC Radio Cornwall. "It's an ongoing saga at the moment, they've got no manager at the moment so we're dealing with the chairman."